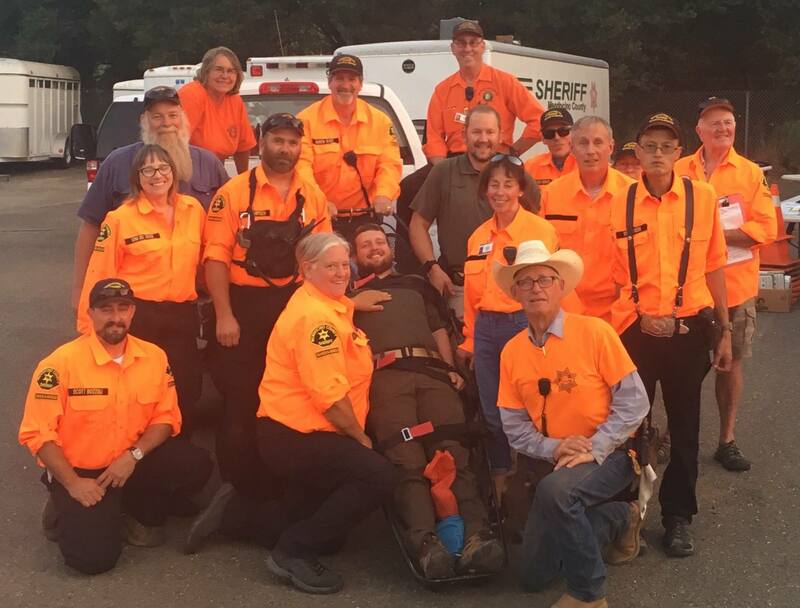 Mendocino County Sheriff&apos;s Search and Rescue is an all-volunteer, non-profit organization which is closely associated with the Mendocino County Sheriff&apos;s Office. It is the Sheriff&apos;s Office who deploys us on search missions and provides some support, but otherwise, we are an independent organization. We are volunteers, responsible for raising the funds and purchasing most of the equipment needed to complete the tasks asked of us. It is up to us to seek out the advanced training which make us capable of accomplishing our missions safely. Any person who is a United States citizen, has not been convicted of a felony or serious misdemeanor, and is 14 years or older, is eligible for membership. All members are required to submit to a background check. All SAR members must obtain and maintain valid First Aid and CPR cards. Members are also expected to complete FEMA&apos;s Incident Command System (ICS) classes 100, 200, 700 & 800. Throughout the year there are regular training sessions on these and other diverse subjects such as man tracking, map and compass, rappelling, use of all terrain vehicles, search techniques, and land navigation. Each new member will be required to attend a SAR “boot camp” to obtain the basic skills needed to become an active SAR member. There are no dues or fees for members. After being sworn in as Disaster Service Workers all members are covered by state worker&apos;s compensation and disability benefits during approved training and when called out on actual SAR missions. Apart from attending meetings and training sessions, all members may be called upon to participate in actual searches. Searches are often done in rugged terrain at all hours of the day or night, and in any weather. Although your specialties may lie in a particular area, you can expect to be called upon to join a search on foot if necessary. Being a member of SAR demands a COMMITMENT of your time, can be rigorous, but also rewarding. Please consider carefully if you are prepared to commit yourself to all of these requirements before seeking to join. The strength of SAR comes from its members, working together as a team, committed to the mission to see it through. Of course, there are also plenty of support and administrative things to do behind the scenes, so if you are less inclined to climb a rope or a mountain, we can find a place in our organization for you too!